Upon the signing of the Agreement by H.E. Dr. Amrith Rohan Perera, Ambassador and Permanent Representative of Sri Lanka to the United Nations and H.E. Mr. Albert Shingiro, Ambassador and Permanent Representative of Burundi to the United Nations on 11th March 2019 in New York, the Government of Sri Lanka and the Government of Burundi decided to establish Diplomatic Relations between the two countries with effect from 11th March 2019. The establishment of diplomatic ties between Sri Lanka and Burundi would enhance the existing friendly relations and cooperation in the political, socio-economic and cultural fields for the mutual benefit of the two countries. The Ambassador and Permanent Representative of Sri Lanka to the United Nations, H.E. 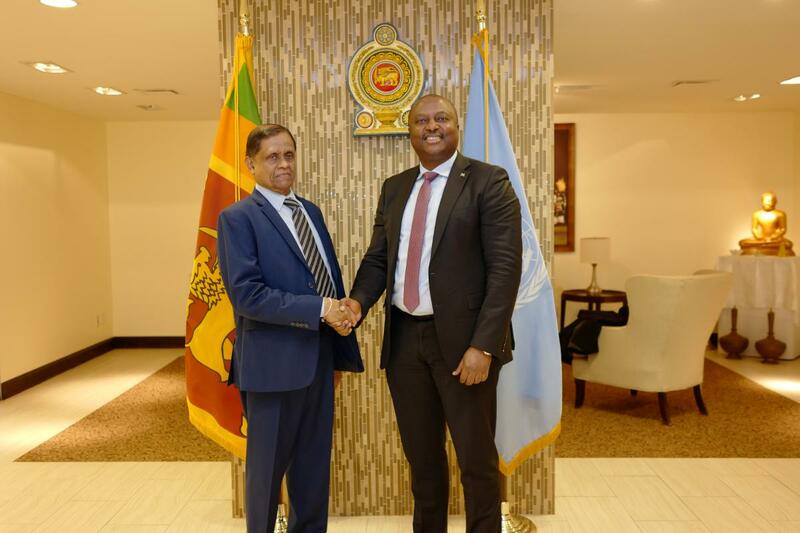 Dr. Amrith Rohan Perera and the Ambassador of Burundi to the United Nations, H.E. 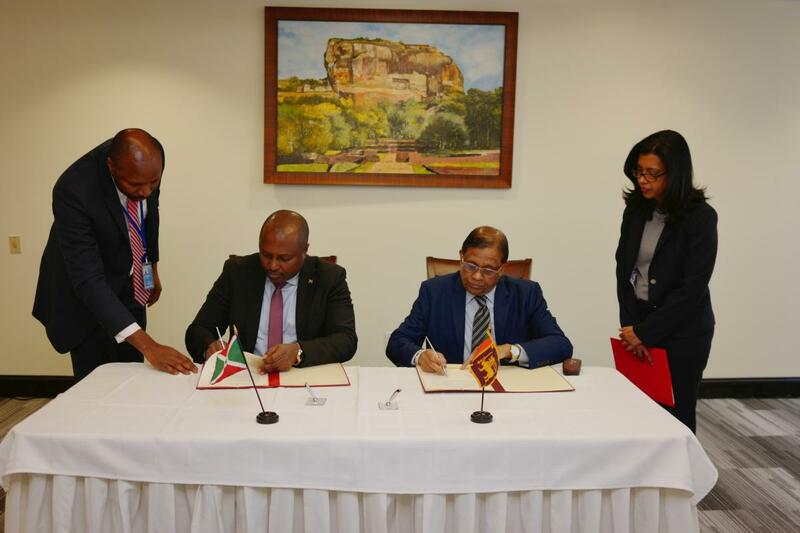 Mr. Albert Shingiro signing the Joint Communiqué on the establishment of diplomatic relations between Sri Lanka and Burundi on 11th March 2019 at the Permanent Mission of Sri Lanka to the United Nations in New York. H.E. Dr. Rohan Perera, Ambassador and Permanent Representative of Sri Lanka to the United Nations and H.E. 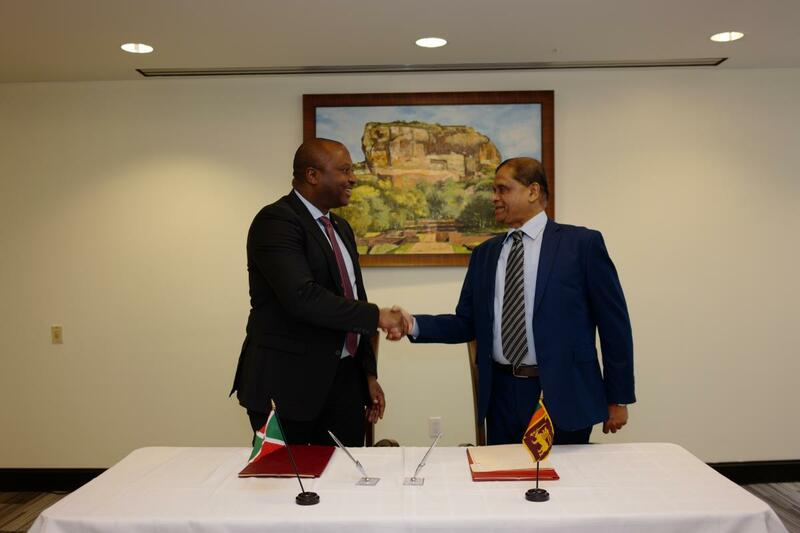 Mr. Albert Shingiro, Ambassador and Permanent Representative of Burundi to the United Nations shake hands following the signing of the Joint Communiqué for the establishment of diplomatic relations between Sri Lanka and Burundi on 11th March 2019 in New York.